Mercedes Benz has a bit of a habit of confusing things with the obvious goal of continuing to progress the brand as well as make new genres have been a game of the market leader but no one surpasses Porshe with the nomenclature game, just look up the 911 for reference... So before this year, this model was called the CLS AMG 63, nowadays they have changed the nomenclature but there is a more than just a name change for the big brother, I call it the CLS with Steriods and a new sleeve tattoo... 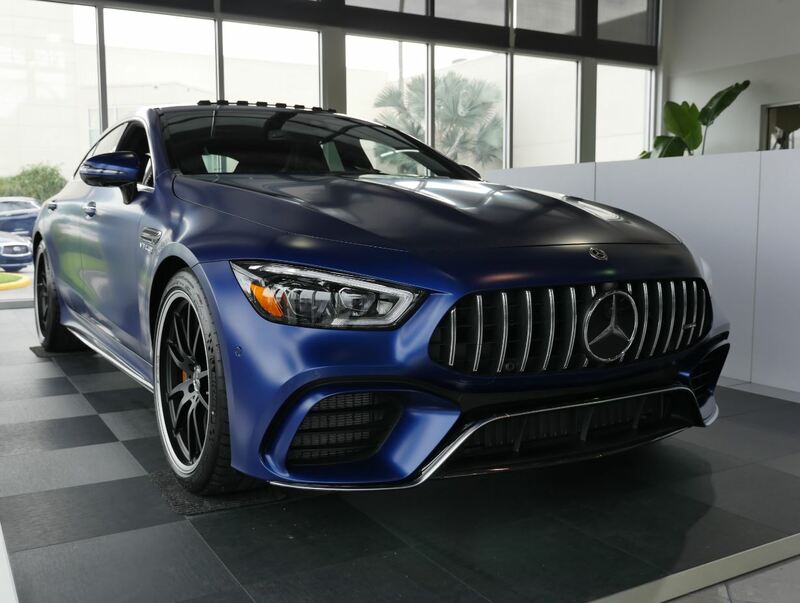 The new AMG GT 63 S is the dreams of bad boys across the world while still appealing to the Executive "Davos" attendees. When Benz adds the "S" moniker which can mean Special vehicle or sporty vehicle it is the top of the food chain the only thing that will get more Sporty is an "R" (Racing) model which will not give you the balance of love and play like an "S" model. So here are at the foothill of battle what changes make this special, and what can the competitors say about this. Well at this time with not much cooking in this price range but the Panamera Turbo S E Hybrid, the sticker shock may be the biggest gate to the vehicle, the starting price for admission is $185K, the Matte Blue that I reviewed that would give the Gulf Waters a run for its money is optioned at $201K. Is it worth that much well there three areas that make this one of the highest priced Benz model to date, but when you look at the Performance Specs, The Special Detail, and Competitor Lap Times you'll understand why this car is striking way above its weight and is a bargain let's talk the basics.